Pixels vs Vectors – What’s the difference? Since the dawn of digital graphic design, there have been three main building blocks of images – pixels, vectors and polygons. We’ll focus on pixels and vectors for now, since polygons are specifically for 3d. Think of pixels (also called rasters or bitmaps) as very small square tiles that make up an image. Think of mosaic art, for example – or early video games like classic Nintendo where you could clearly see that everything was made up of squares. The advantage of pixels is that all these squares (in high amounts – or resolutions) put together make detailed and intricate blends, textures, glows and shadows. The disadvantage of pixels – edges of an image, being made up of squares, can look jagged, especially when there are fewer pixels. Graphic designers typically create pixel art in a layered file. This means every visual element is separate from the others and can be changed (rotated, sized, moved) independently from the other. This makes editing possible – it can be extremely difficult if not impossible to make edits on a “flattened” file. Think of it this way. You can take a handful of spare change and arrange it in infinite ways on a table top. But once you take a picture of the scene, it’s frozen in time. A layered file is like the spare change on the table. It’s easy to move it around. But it’s not so easy to change the picture you took! 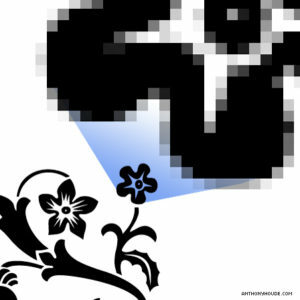 It takes effort from a graphic designer to convert pixel-based art into a vector format- they’ll usually have to hand-trace the pixels in a vector program. Think of vectors as a series of points with smoothly connecting lines and arcs. When you see giant text or a logo on a billboard, you’re seeing art that was (very likely) originally made with vectors. 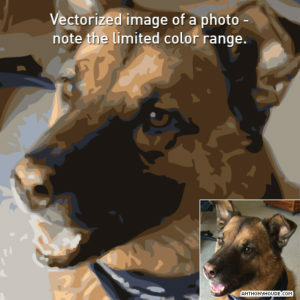 Vector images can be enlarged infinitely while keeping clean, sharp lines. 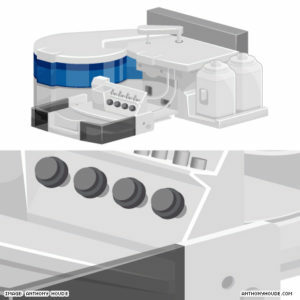 The disadvantage with vectors — realism with shadows, blends and textures are much harder to achieve than with pixels. A graphic artist can go to great lengths to achieve realism, but it’s not as practical as photography or pixel-based art. Vector art is also made in layers. 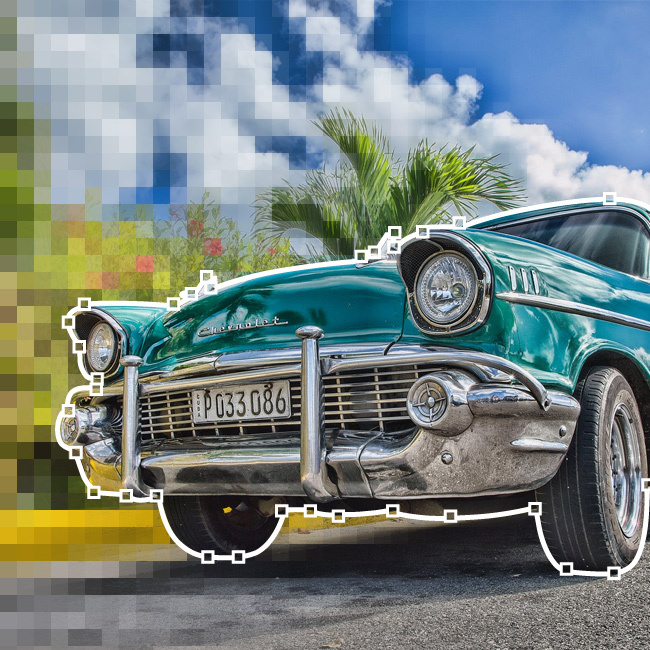 It’s easy to convert vector art into a pixel-based format (jpg/gif/tif). 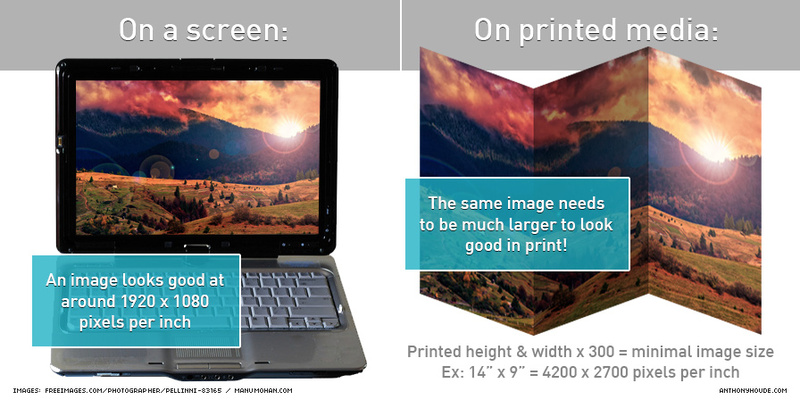 In order for an image to look good in print, it should have three to five times the pixels (300 pixels per inch) of what looks good on screen (72 pixels per inch). The key is to get high-resolution photos and have high-res or vector-based art wherever possible. 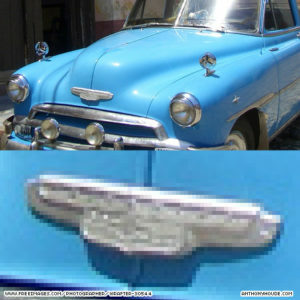 Simply adding pixels or increasing the size of a small image does not improve the image quality. In 2012, I was working on a brochure for a client and it took a lot of explaining to get them to understand that what looks good on a notebook screen will not always look good on paper. The sad part is they could not (or were not willing to) locate the original photos. I’m happy to work with clients in any situation, but this was a fund-raising brochure. They were asking for thousands of dollars in sponsorships. Blurry photos made the piece look sub-standard to potential donors. When you ask as designer for a layered photoshop file – or a native illustrator file – you’re asking them for the files they used to build your design or art. This is good for you because it’s insurance against file loss or the designer not being available in the future. It can be uncomfortable for the designer because once you have the source files, you can send them to another designer. Often times, it’s understood that giving up source files warrants an extra charge from your designer. It’s important that you have the source files for your logo. You’ve spent good money on it and it’s at the spear tip of your brand. Also, if you just rely on the pixel-based logo on your site, you’ll find it looks very poor when it’s used on a large banner or t-shirt. Ask for the vector-based logo art from your designer in a few different formats (.ai, .svg, .eps). It’s good to get your logo art as a transparent (pixel-based) .png as well. Recently I had to tell a client that what they thought were source files were actually pretty useless because they weren’t layered. I was frustrated on their behalf – they had paid an exorbitant amount to a design studio for a file that can’t be edited. Every now and then a client will send me an .eps file, thinking that it’s a vector file. 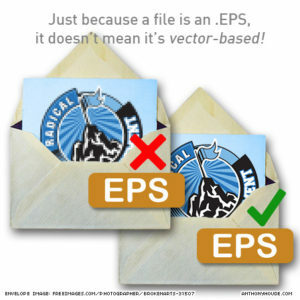 They’ve been told by an amateur designer or printer that an .eps file IS a vector file. This is a very sloppy statement and causes a lot of confusion. Think of an .eps as an envelope. You get out of it what’s been put into it. Got questions or looking to take your graphics to a whole new level? We can help! Call 865.850.9460 or email us today! That insight solves the prmbleo. Thanks!